3M 5200 sealant will form a permanent watertight seal on timber treated with Smiths Clear Penetrating Epoxy Sealant. This allows you to achieve a dry bilge in a wooden boat, amongst many other uses. 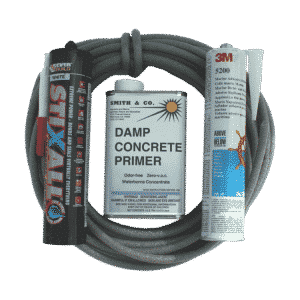 It is also available in a Render Crack Repair Kit, along with Smiths Damp Concrete Primer, to form permanent repairs to cracks in rendered walls. 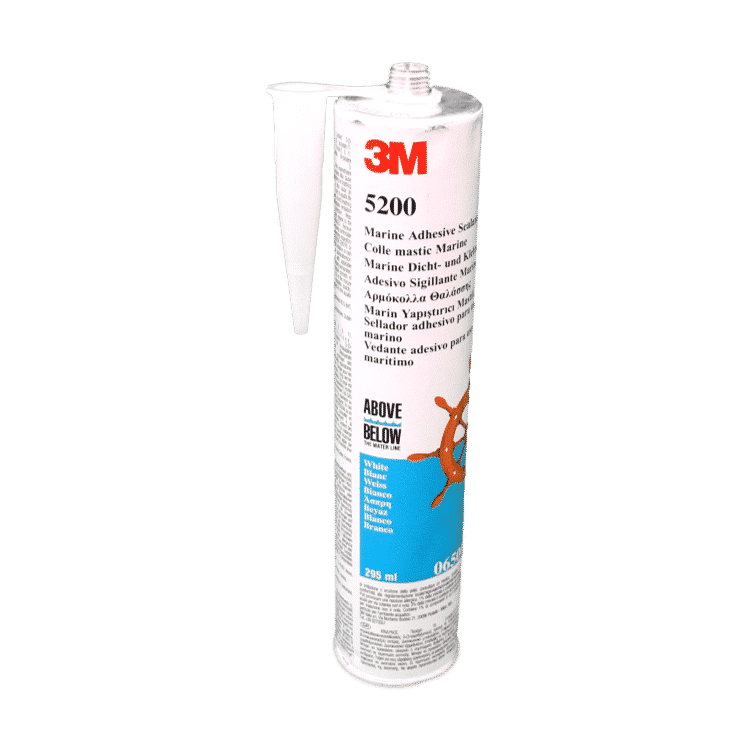 3M™ Marine Adhesive Sealant 5200 is extremely strong and retains its strength above or below water line. Stays flexible too – allows for structural movement. Has excellent resistance to weathering and salt water. Stress caused by shock, vibration, swelling or shrinking is effectively absorbed. 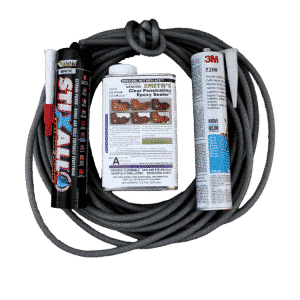 Check the marine bonding and sealing jobs that 3M 5200 sealant can handle for you: fibreglass deck to fibreglass hull, wood to fibreglass, portholes and deck fittings, motors on fibreglass transoms, under mouldings, hull seams above and below water line. Centre board trunk joints. Between struts and planking. Stern joints. Deck housing, etc. Easy to apply with manual caulking gun. Won’t sag or flow in vertical or horizontal seams. 3M 5200 fast curing has a relatively slow-cure for a polyurethane adhesive sealant, this is because it builds up a very high-strength. Very high strength adhesive with a slow cure. Designed for ultimate long-term durability in applications where cure speed is not important. Currently we only stock the product in white and we only stock the regular cure as the fast cure can release gasses whilst setting under some circumstances. Thank you Stephen. Great success. We had a small leak in our boat. The sealer was excellent. Your service was very prompt and I loved the wee presents. My grandsons really appreciated them. I will be in touch again for more of your products. Marlene (Submitted by e mail).